Is Red Meat Making You Age Faster? How does share market work? 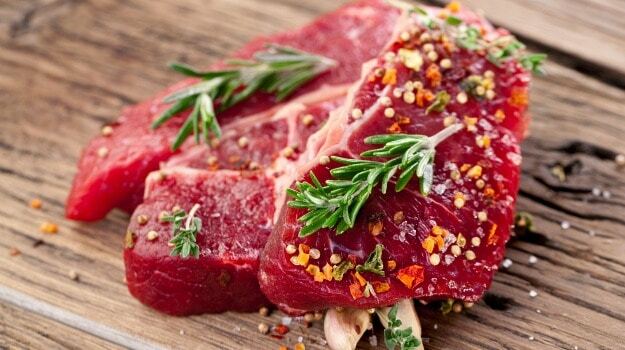 You are at:Home»Food»Is Red Meat Making You Age Faster? phosphate levels caused by red meat consumption, combined with a poor overall diet, increases biological age (miles on the clock) in contrast to chronological age (years of age). The study, which looked at participants from the most deprived to the least deprived in the NHS Greater Glasgow Health Board area, also demonstrates that deprived males were the worst affected. Data from the study suggests that accelerated biological ageing, and dietary derived phosphate levels among the most deprived males, were directly related to the frequency of red meat consumption. collaboration with the Karolinska Institute (Stockholm, Sweden), also found that high phosphate levels in deprived males correlated with reduced kidney function and even underlying mild to moderate chronic kidney disease. “The data in this study provides evidence for a mechanistic link between high intake of phosphate and age-related morbidities tied to socio-economic status,” Professor Paul Shiels said. “Our observations indicate that elevated red meat consumption has adverse effects amongst deprived males, who already have a poor diet and eat less fruit and vegetables than recommended. We think in this group the effects of high serum phosphate intake may be exacerbated,” he added. Indeed it’s notable that these effects are not apparent among less deprived males, or in females, especially in the context of a more balanced diet. The study, ‘Accelerated Ageing and Renal Dysfunction Links Lower Socioeconomic Status and Dietary Phosphate Intake’ is published in Aging. Should You Pop Vitamin D Pills Regularly?